Submitted by Mike Penn on 4 December 2018. This is the first of five "Meet the Scientist" journal entries featuring the members of the intrepid Automatic Weather Station crew. Have you been wondering who is with me here in Antarctica? Have you wondered how these people became scientists and what kind of experience and qualifications they have in order to get here? "Meet the Scientist" should answer those questions and more. Lee Welhouse steps onto the ice for his ninth season! I've gotten to know Lee over the past few months and I can tell you that he is extremely knowledgeable about the hardware of the Automatic Weather Stations. He also has an impressive library of movie quotes in his brain just waiting for an appropriate time to quip! His area here in Crary lab is always alive with communication equipment, battery chargers, and laptops. When walking outside Lee seems to be impervious to cold. Everyone else is bundled in our hats and coats while Lee is simply wearing a hoodie. That will come in handy when he and I head to the South Pole in a few days. Lee was recently married to his wife Valerie back in Madison, Wisconsin. Being a big Green Bay Packers fan, he has been keeping me up to date on all of the football scores back home to include a play by play of the Steelers loss to the Chargers in the final seconds of the game last Sunday. 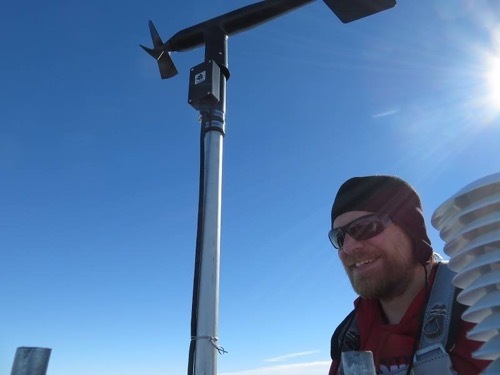 This is Lee's ninth time to Antarctica! 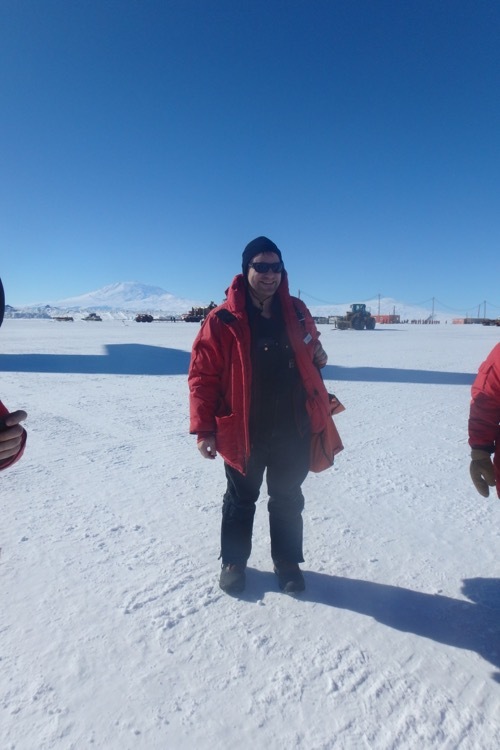 Lee Welhouse is at a remote location servicing an AWS in Antarctica. Lee is an "Instrument technician" with the AWS group at the Space Science and Engineering Center at the University of Wisconsin-Madison. He joined the group in June of 2008 as a student hourly before starting his graduate studies in September of 2008. He received his Bachelor's Degree in Atmospheric and Oceanic Sciences from the University of Wisconsin-Madison in May of 2008. He then received His Master's Degree upon completion of a thesis titled "Composite Analysis of El-Nino Southern Oscillation Teleconnections in Antarctica" in May of 2011 from the University of Wisconsin-Madison. He teaches Meteorology courses at Madison Technical College. He says his main interests in atmospheric sciences include: climate dynamics, data assimilation, reanalysis accuracy, observation accuracy, and data management. Stay tuned for more from Antarctica!